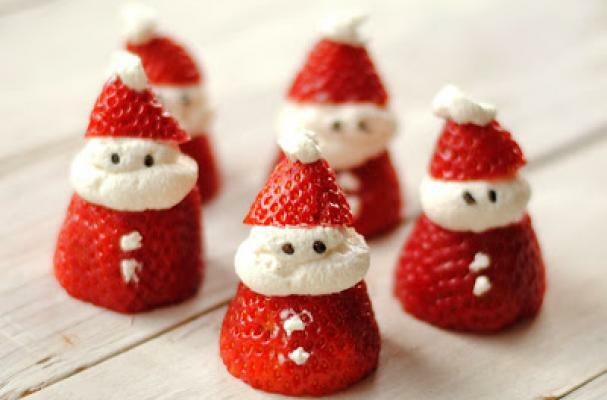 Santa strawberries from Leanne Bakes are a quick and easy Christmas treat. Sweet strawberries are filled with whipped cream and studded with chocolate sprinkles - what could be simpler? This is a great snack to make with your kids around the holidays (and healthy too!). For full recipe instructions, click here.